Dr. Gerald P Corcoran, MD is a Doctor primarily located in Needham, MA, with other offices in Natick, MA and Needham Heights, MA . His specialties include Family Medicine. He speaks English. Dr. Corcoran has received 2 awards. The overall average patient rating of Dr. Gerald P Corcoran is Great. Dr. Gerald P Corcoran has been rated by 9 patients. From those 9 patients 1 of those left a comment along with their rating. The overall rating for Dr. Gerald P Corcoran is 4.0 of 5.0 stars. The doctor cares more for his financial well being than your well being. I never thought I’d write a negative review for a doctor. However my wife and I have had a terrible experience with the doctor and their billing practice. The short of it is, the doctor moved locations and because the new location was much less convenient, we canceled our appointment. We spoke to them twice before the date of the appointment, and both times requested to cancel the appointment. Doctor’s practice did not cancel the appointment and then charged us a no-show fee. We called to ask them to remove this bill as it was inaccurate. We called multiple times and left messages, but no one returned a call. Finally after our frustration was mounting, the doctor himself called. Instead of listening to us, it was clear from the beginning that the doctor had it mind to “tell us off.” He asked if the call was being recorded, and when I told him no - he proceeded to tell us how his staff is never wrong and that it’s our problem. He was curt and condescending in his tone - and he clearly did not really care. When I mentioned that we canceled because their practice had moved locations, he did not seem to care. As long as he got his money, even for billing us wrongly, it did not matter to him. He proceeded to hang up on me as well. He said his piece, he told me, and he no need of wasting his precious billable time on me anymore. It’s unfortunate that our medical system places the doctor’s financial growth at the opposite end of patient well being. If you want a doctor that cares for you and bills you for services actually rendered, this is not your doctor. There are many more in and around Needham and Wellesley that I can recommend. 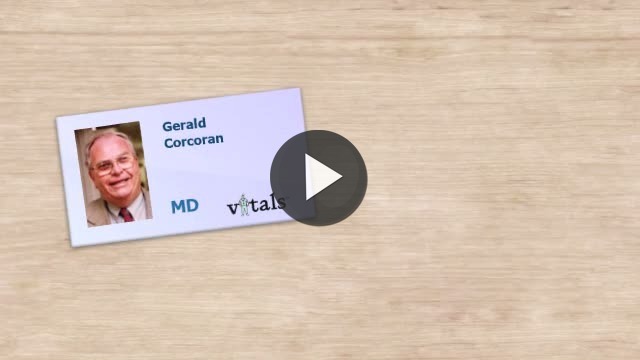 Take a minute to learn about Dr. Gerald P Corcoran, MD - Family Medicine in Needham, MA, in this video. Dr. Gerald P Corcoran is similar to the following 4 Doctors near Needham, MA. Have you had a recent visit with Dr. Gerald P Corcoran? Select a star to let us know how it was.